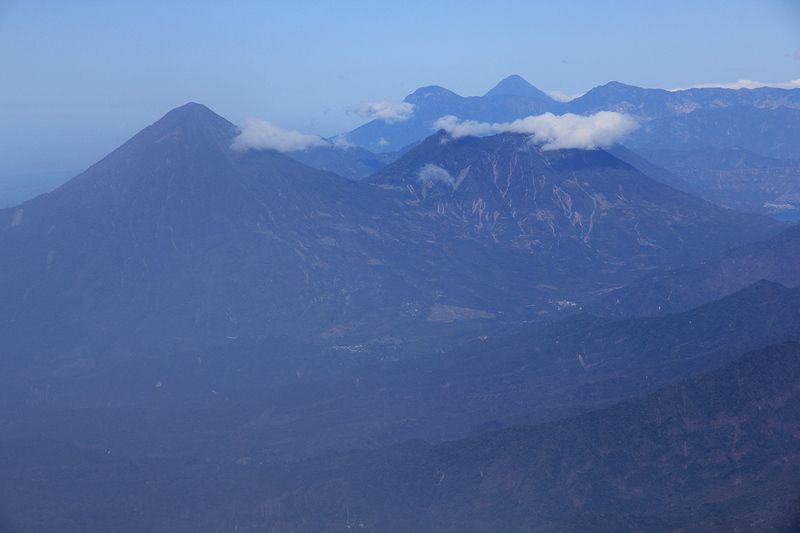 See this map of Guatemala for detailed information about my trip to Guatemala and the climb of two high volcanos. 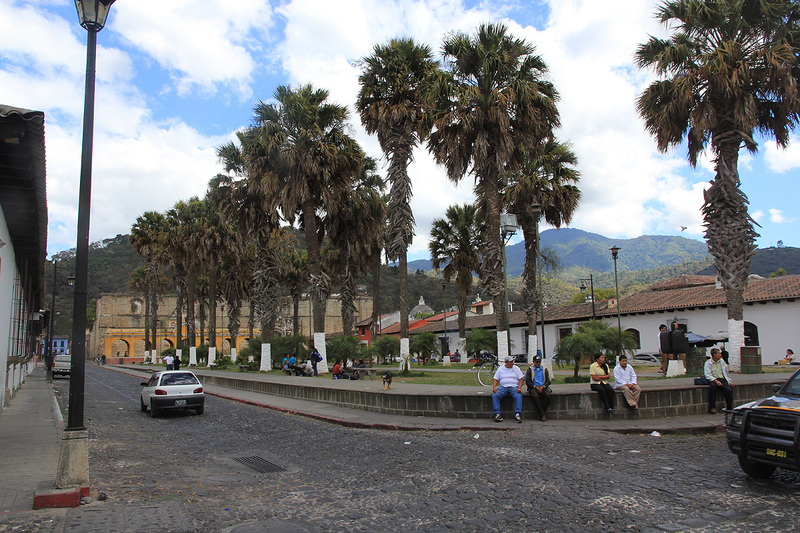 A good starting point is the city of Antigua. 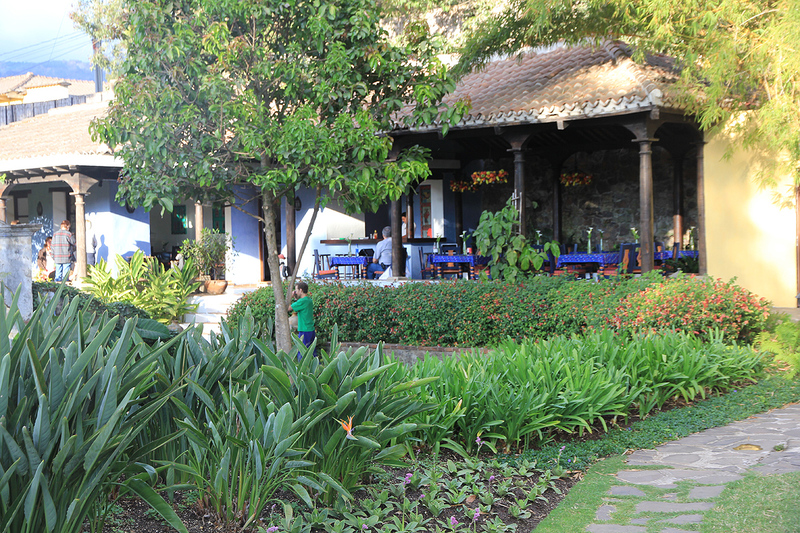 A nice hotel that can be highly recommended, is Hotel Quinta de Las Flores. Similarly, a flexible tour operator that can help with local transportation and/or guides is Adrenalina Tours, right next door is a very nice restaurant, serving unicorn and other exotic entrees, all very well prepared. 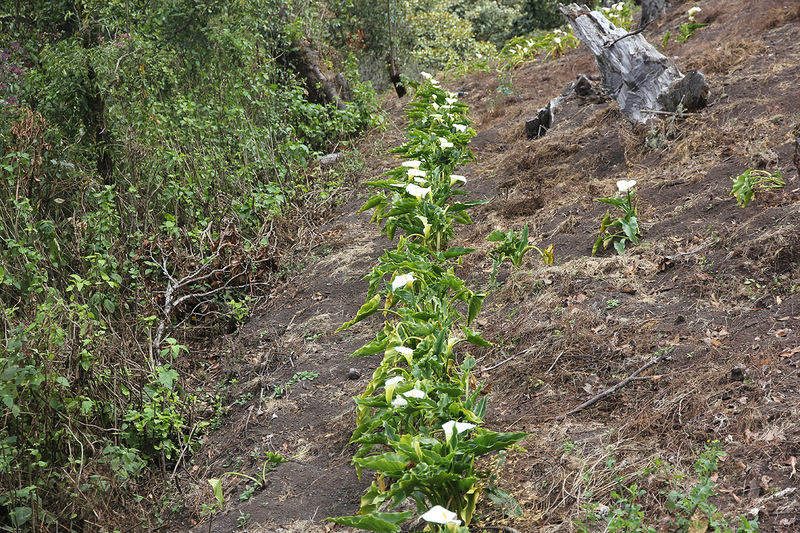 From the trailhead, head directly uphill along a very sandy trail that runs in a pretty deep ditch. Continue straight uphill gaining 200 vertical meter until you reach elevation 2634 meter (see the map). Turn left here, your trail will shortly turn uphill again following the edge of farmers fields. 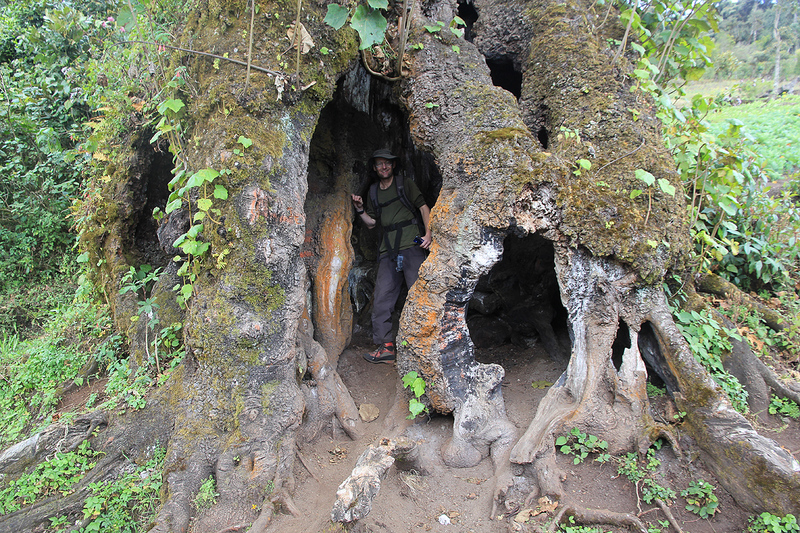 After gaining another 120 meter, you pass a small hut on your right and a big, interesting tree that one can walk inside. The trail continues uphill just left of the big tree. Higher up, there is a rest area with a wooden bench. Shortly above this, you arrive at a trail fork, this is at about 2860 meter (see the map). 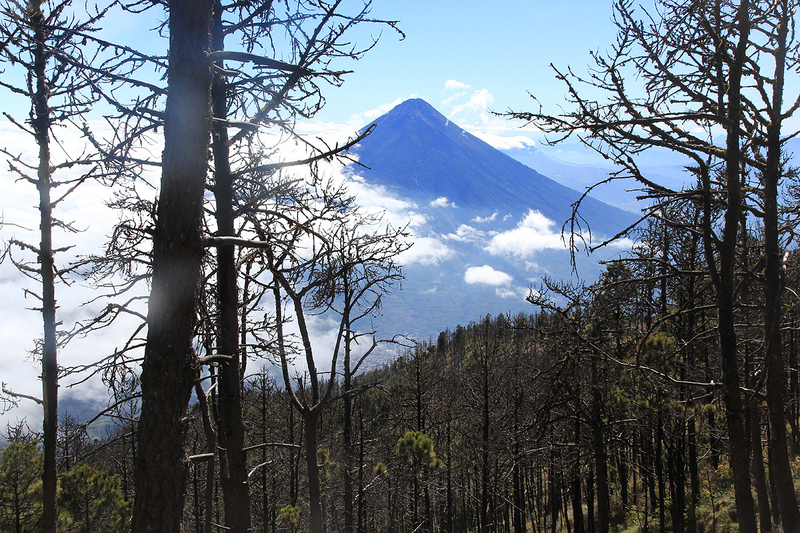 The main trail, having a sign saying "Volcan", goes right. The trail I hiked and which was recommended by the guide, forks left and looks a bit smaller. 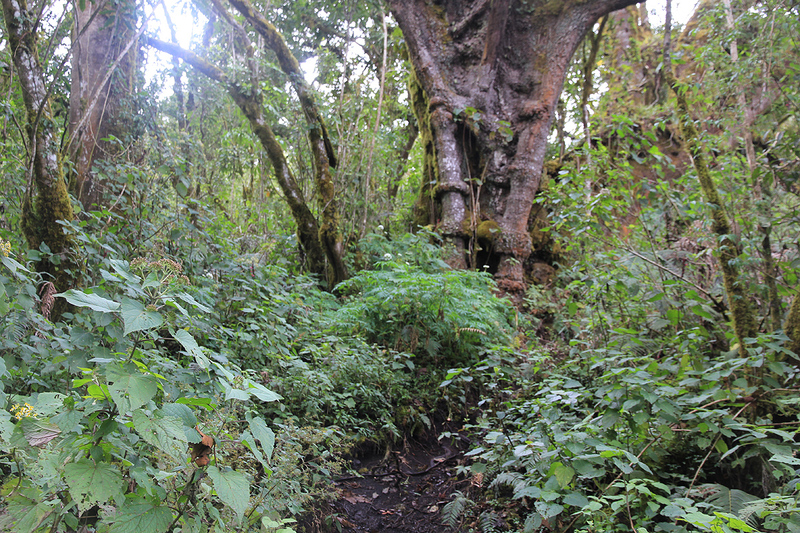 Following this trail, first fairly horizontally (left when facing uphill), then gradually uphill, it soon merges with a trail that comes from below and runs directly uphill. If you plan to return along this route, then pay attention to this location as one easily may continue downhill when descending. The trail continues steeply uphill, then enters a more horizontal section before gaining a pretty distinct ridge, elevation about 3250 meter. Shortly, your trail merges into a 4WD road. Follow this road uphill until it ends at about 3475 meter. There are two trails heading uphill, they merge just a short way uphill. Continue to follow this trail on pretty loose sand until you reach a big saddle, location N14:30.362, W090:52.504, elevation about 3775 meter. There is higher ground both left and right. 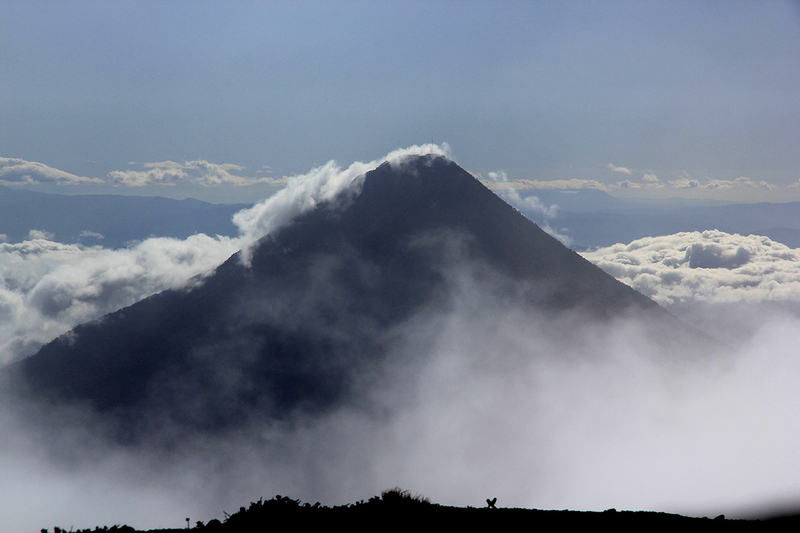 The summit of Acatenango is to your left. Proceed up this final, somewhat steeper hill. 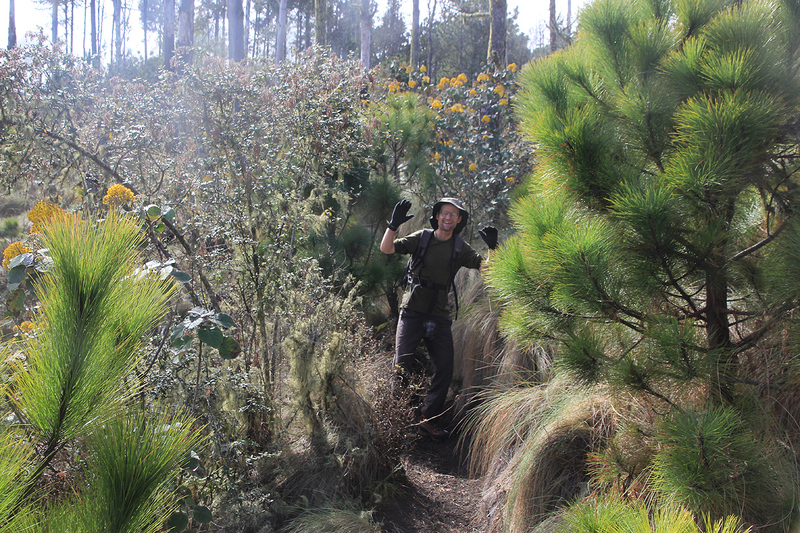 The trail is loose and it gets increasingly more difficult near the top. This final section justifies a (YDS) class 2 rating, until here the difficulty has been class 1 (good trail). 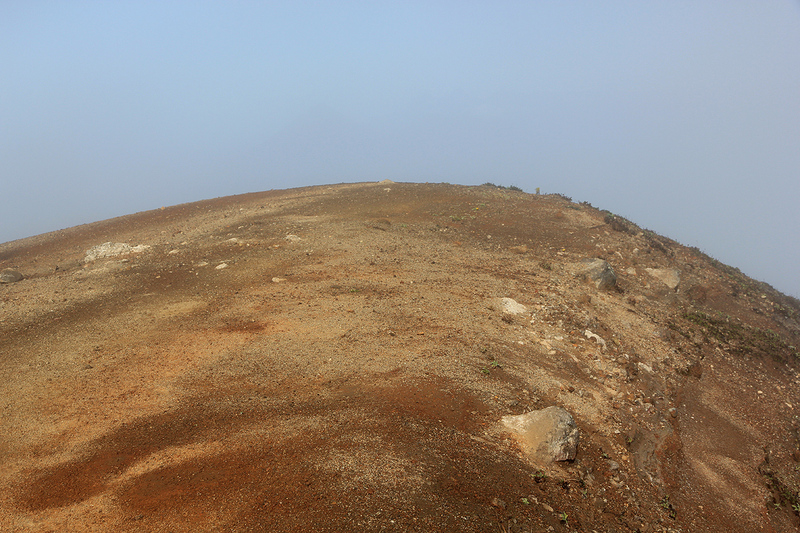 As you gain the ridge, turn left and walk the very gentle ridge to its highest point. 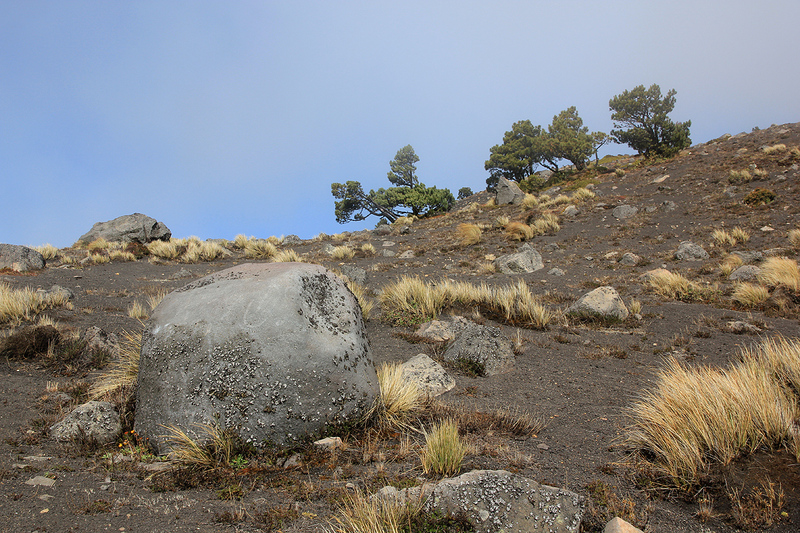 An essentially equally high point is marked with three big rocks and a metal cross, just a few meter onwards. I did this climb with Adam Helman from California. 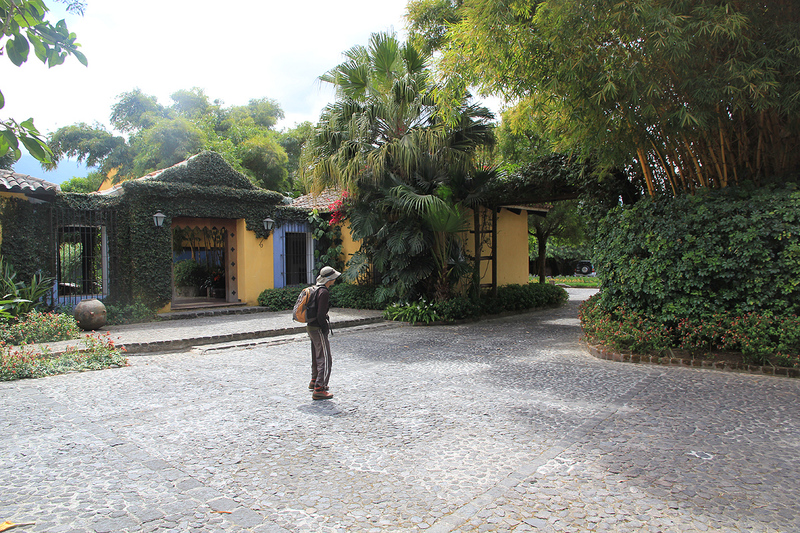 The previous day we had descended from Tajumulco and travelled back to Antigua, where we checked into the very nice hotel Quinta de Las Flores. We had a scheduled pickup at 0400, the driver showed up on time, but without the guide. 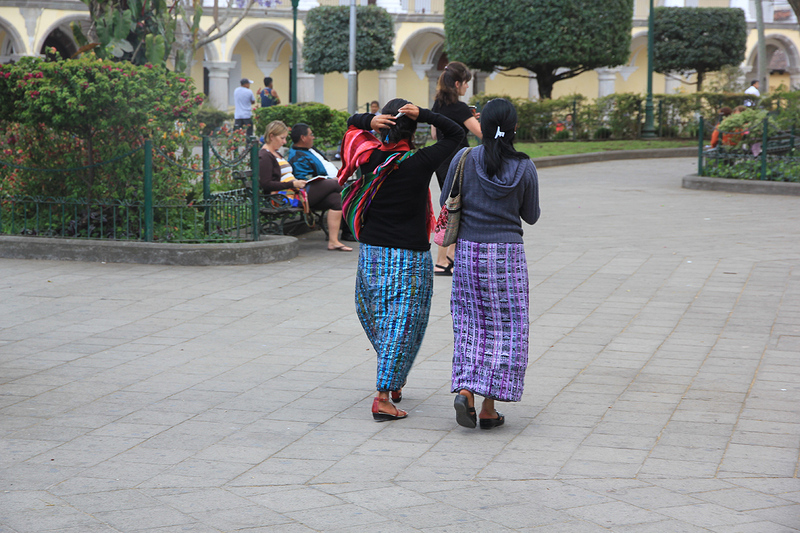 Proceeding to the central square, we were told that the guide should show up here. After about 15 minutes, our driver called our contact Edwin and this helped. Close to half an hour late the (female) guide showed up in a separate 4WD vehicle driven by a young man. It seemed very wasteful to drive two vehicles, however this was obviously the plan. We started out, but it became obvious that the guide did not know the way, our driver had to correct their driving (intense flashing with high beam lights) repeatedly. Eventually, we took the lead and they followed. I remarked that I hoped the guide knew the trail better than the approach drive. 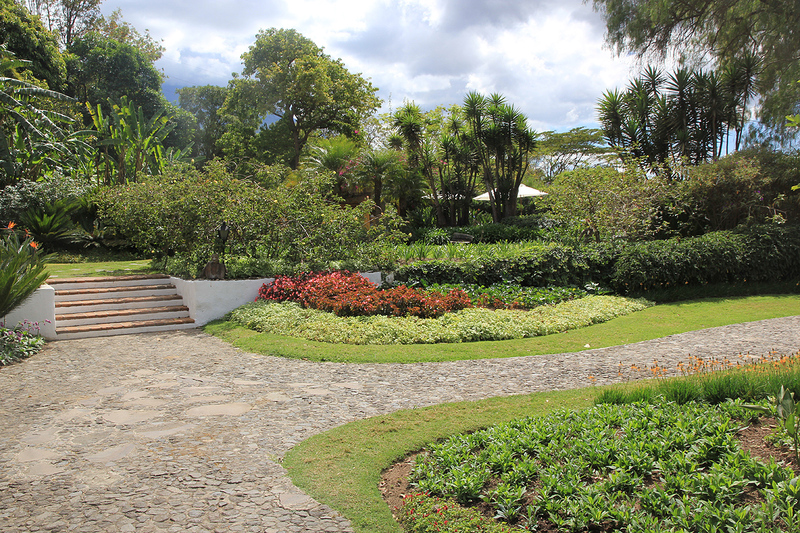 Arriving at the parking area, we were informed that our driver would return to Antigua and come back and pick us up around 1400. I had been told by Edwin that he would wait. This was a bit alarming as I believed we would be back considerably earlier. Another small issue seemed to be that the man (a boyfriend of the guide?) seemed to be very slow in getting ready for the hike, we all waited for him an extra 5 minutes. We got underway at 0535 and soon turned up the big, but very sandy trail. 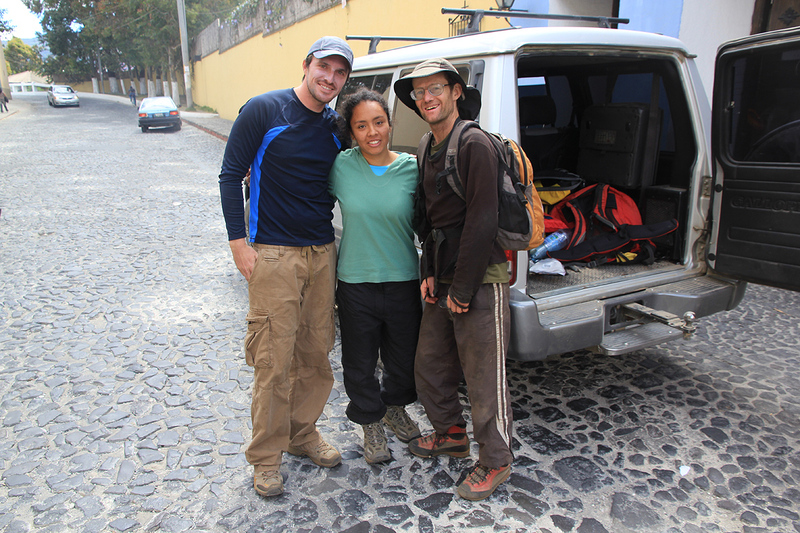 After gaining the first 200 meter of elevation, I noticed that the guide was missing and we decided to wait for her. She eventually came, but there was no sign of the man. 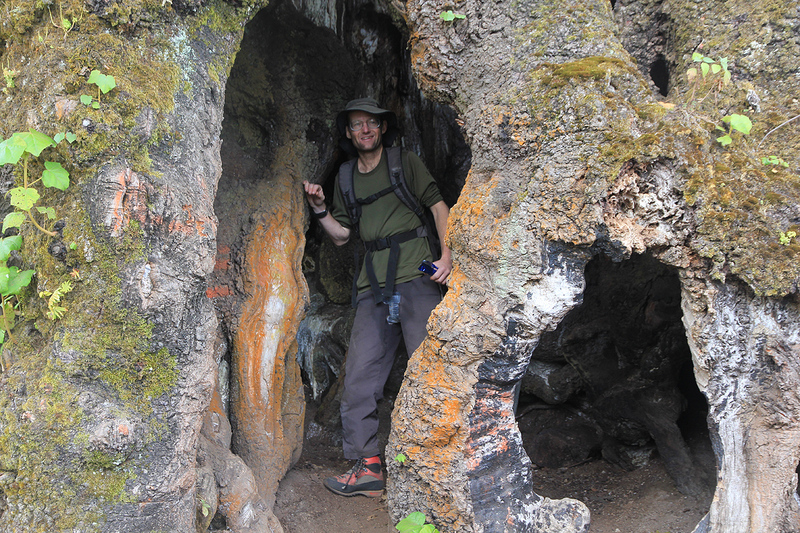 We continued uphill, but as we got to the small hut next to the big tree, our guide was again too far behind. When she came, she first needed a short rest, then I suggested that it would be better if she went first, setting her own pace. This worked fine until we got to the trail fork where she told us that we again should have a (needless) break, then take the left fork. The man was still missing, I assumed that he had turned back. When I again suggested that our guide should go first, she clearly expressed that we should lead the way, I realized that she perhaps rather wanted to wait for her boyfriend. It turned out that we never would see her again on this hike. Overall, Adrenalina Tours should avoid guides like this. 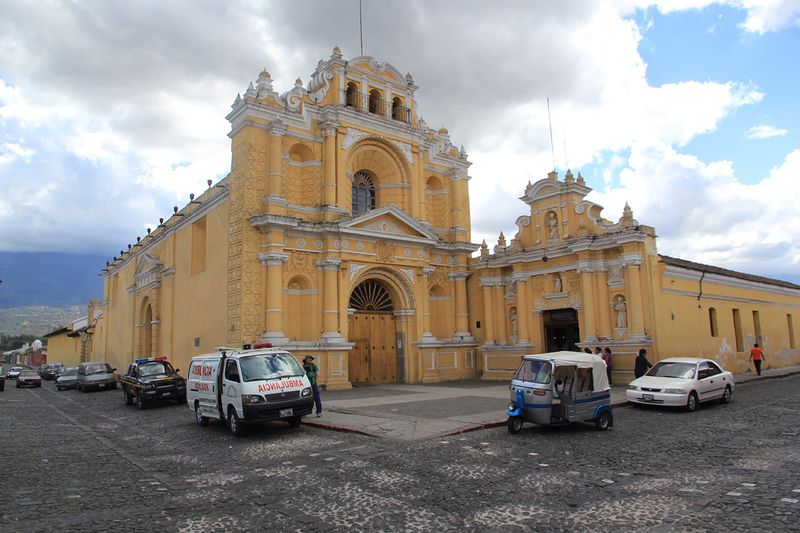 We paid 160 US dollars for the transport and the guide. A substantial share of this was presumeably for a guide to come along on the entire climb. I do not mind that a guide takes her boyfriend along, but if that results in ignoring the customer and actually skipping the climb altogether, then we (and Adrenalina!) would be better served with a much less expensive transportation only option. 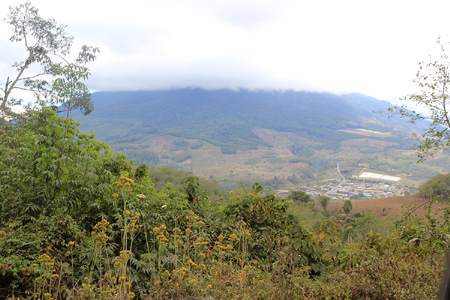 We continued uphill and noticed the 4WD road. Appearently, one can drive all the way to 3475 meter, given that this road is open and that one knows where it begins. Shortly therafter we reached the main saddle. The weather had turned semi-ugly, dense fog and strong wind prevailed. The big question was now if the summit was left or right. I had briefly seen higher ground in both directions. A guide would have helped! However, we were pretty well prepared, Adam had memorized the summit coordinates. I entered this information into my GPS and it immediately pointed us left. 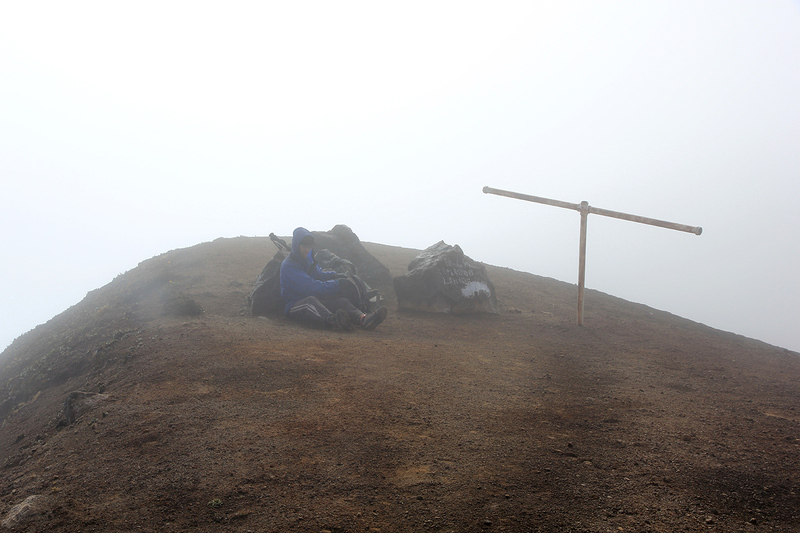 We made the summit at 0835, exactly 3 hours after departure. Unfortunately, it was rather windy and the clouds were drifting around giving us limited views. 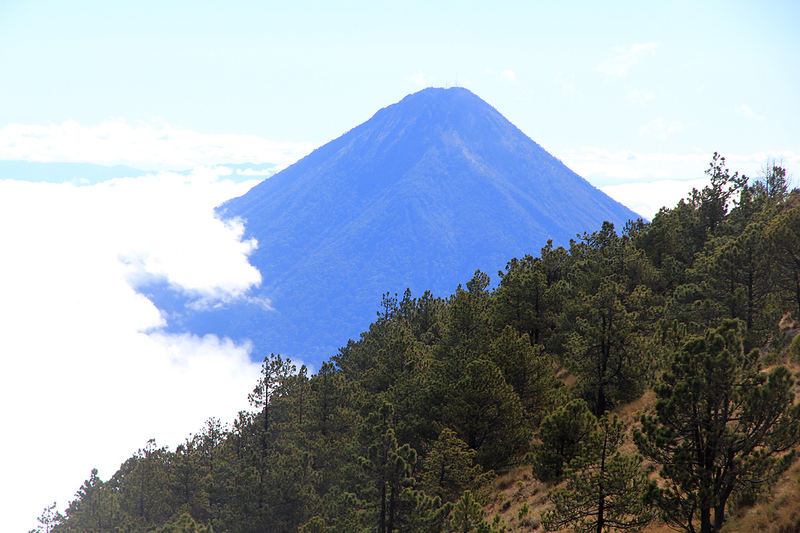 Once in a while we could see the volcan Agua as well as mountains further north. 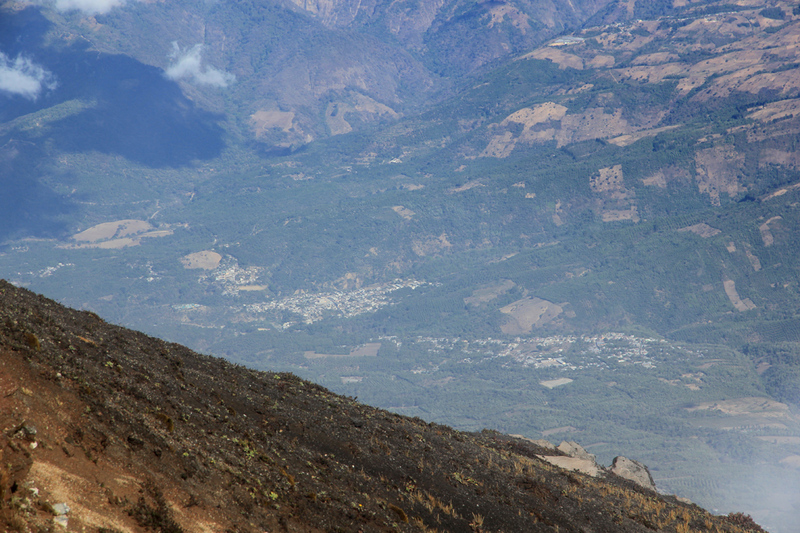 We had read that the neighbor volcano had started eruptions, but it remained completely out of sight. CRACK-BOOOM ! Out of sight, but not silent. The noise was sharp and strong enough to feel the pressure wave. We rested next to the three rocks that formed a natural summit point together with a metal cross. I had measured the elevation a few meter before this point as that appeared to be the highest ground. Off and on there was a view steeply down to a couple of villages. 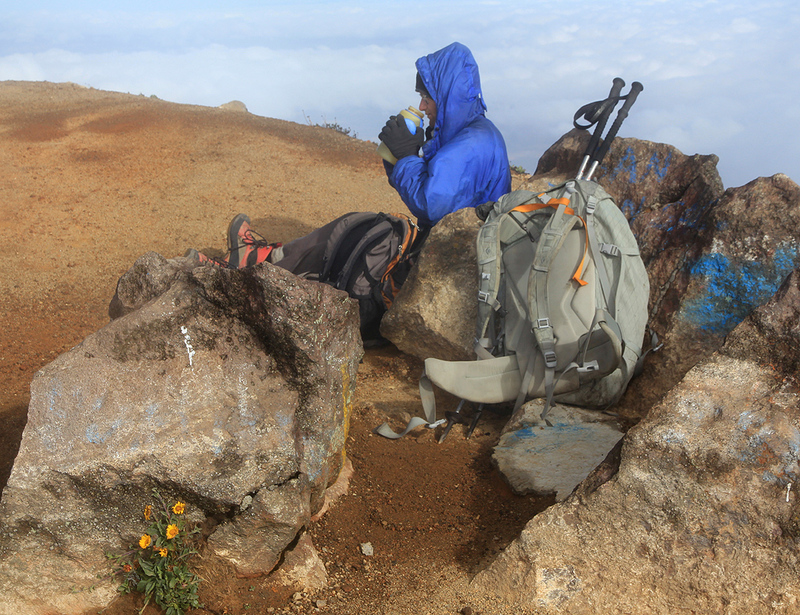 In a cloud break, I noticed that there was a second summit, hopefully lower. I decided to hike along the ridge and check it out while Adam continued to rest and seek shelter among the summit rocks. This second summit turned out to be about 5 meter lower. Happy with this result, I hiked back down to a shallow local saddle, then back up to Adam. He was visibly cold and uncomfortable, we had been on the summit 35 minutes and it was time to descend. 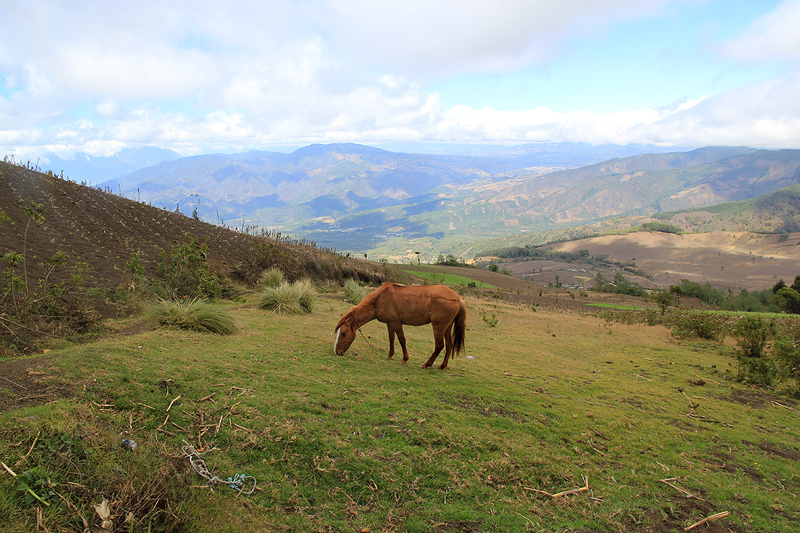 Below the main saddle, the weather improved significantly. We got some very nice views of Agua, in fact, the scenery was just very nice until we again descended into a lower layer of clouds. The return hike went smoothly. 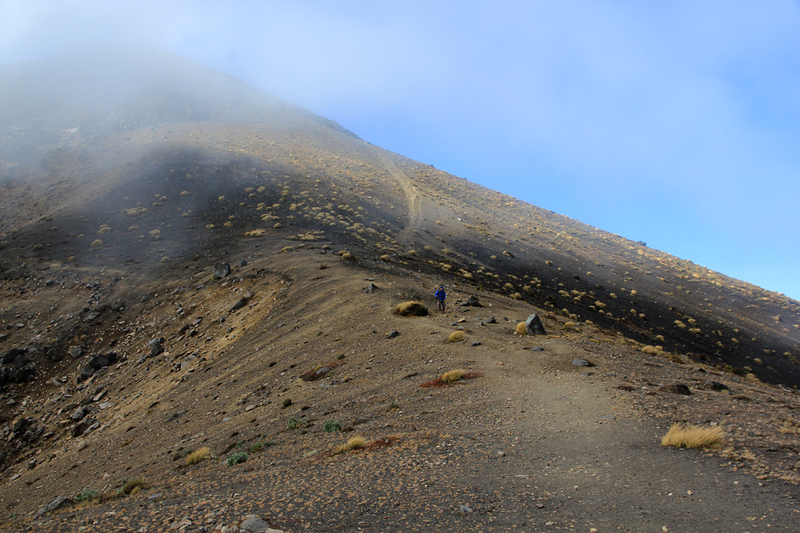 All the loose sand, while cumbersome going up, is quite ideal for a comfortable descent. We descended past a horse and were back down on the road at 1115, just about 2 hours. No sign of the guide, it was surprising that we had not seen her. Fortunately, the guide and her boyfriend showed up reasonably soon, she admitted never to have been anywhere close to the summit. I had called Edwin to ask for transport, we got his phone number via my wife in Norway, since nobody knew how to obtain a local phone number. As it turned out, we could drive with the guide and her boyfriend, at last some useful work. 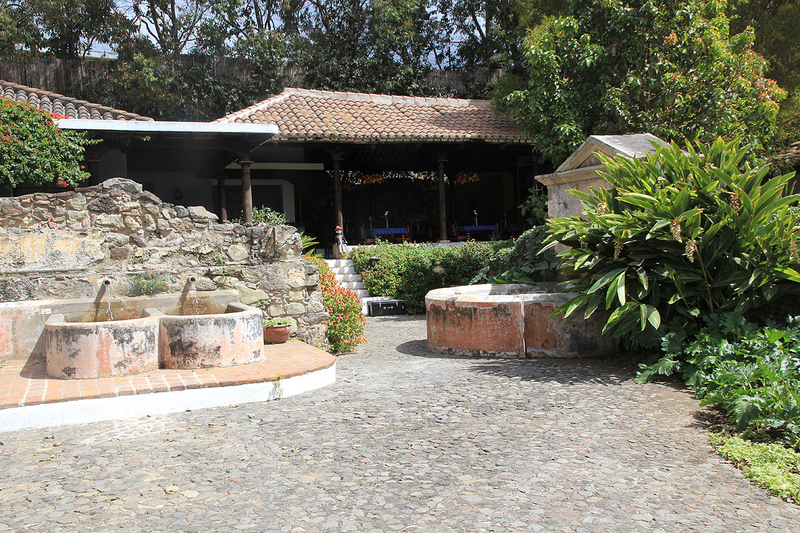 We returned to beautiful Quintas de Las Flores, then set out to explore Antigua. We walked by the central park, and viewed the more monumental buildings in the area. Reaching the Adrenalina Tours office, we first discovered that our favorite restaurant was closed on Tuesdays, then located a pretty good alternative. A nice Guatemala meal with a bottle of Mendoza red wine was in order. 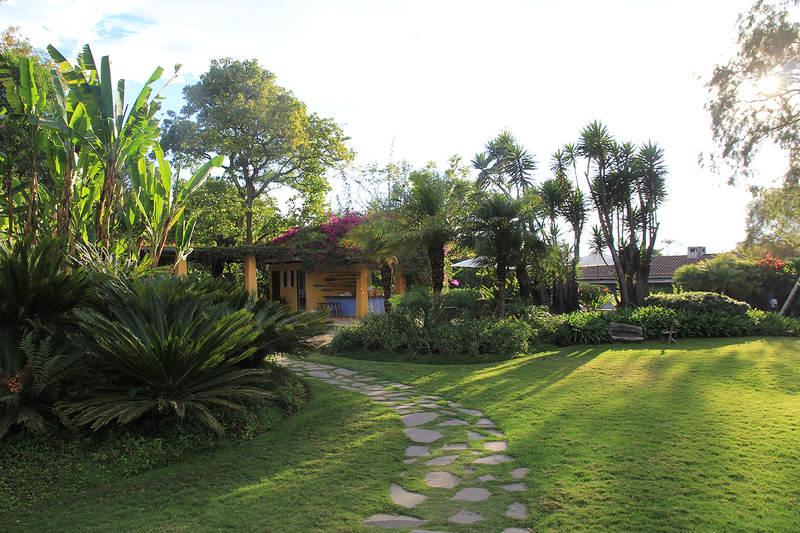 Later, we returned to our hotel, relaxed in the nice garden and prepared for a light evening meal. 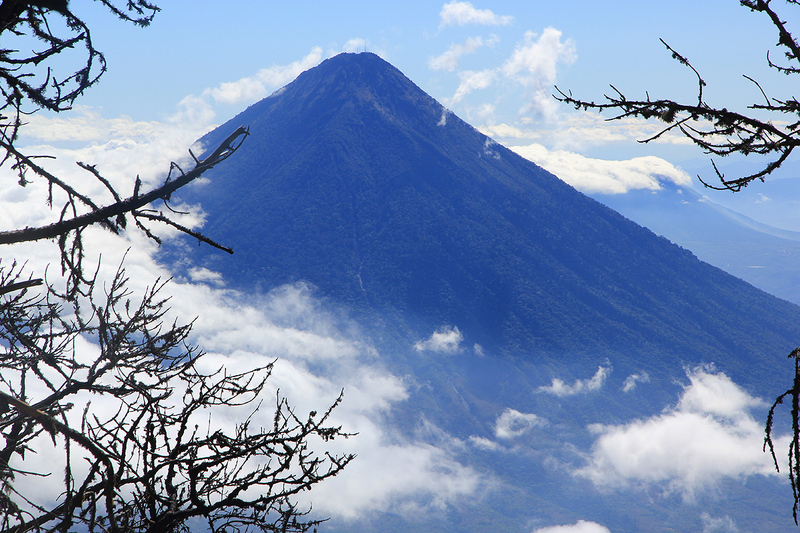 My flight was early next morning, while Adam should climb two more volcanos before returning to California. 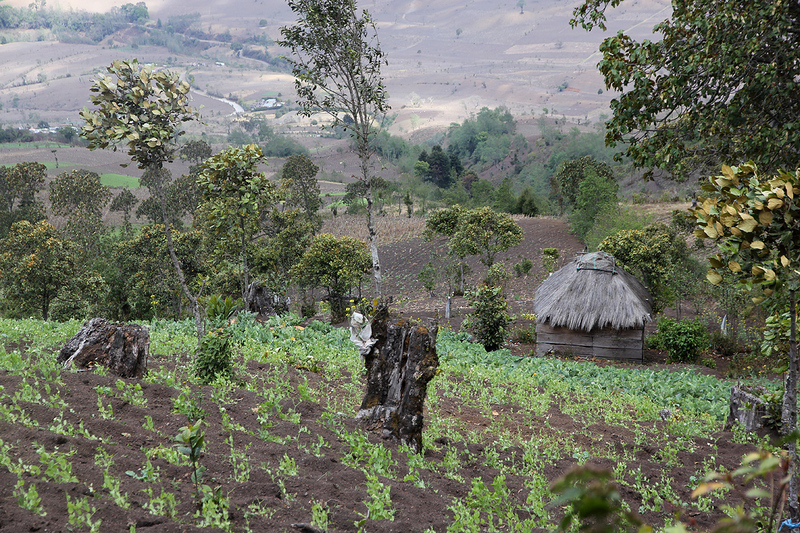 Acatenango, hiding in the clouds. Agua, as seen when descending. 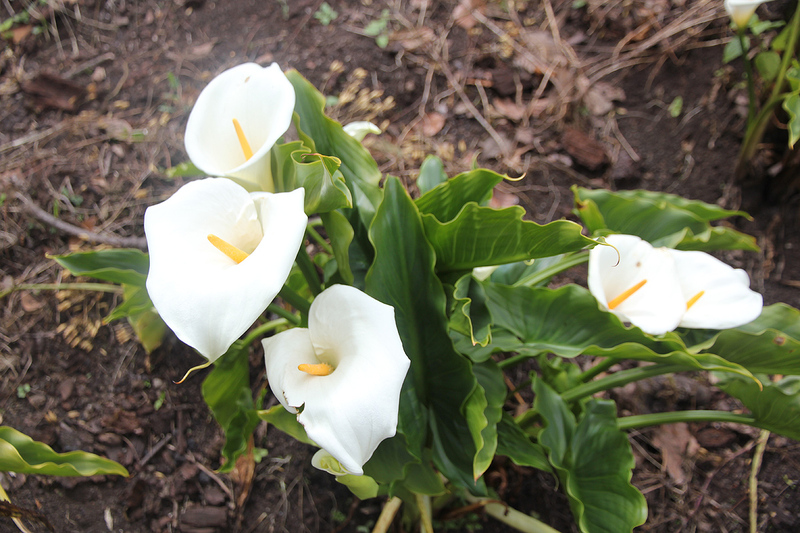 Flowers, growing in the farmers field. 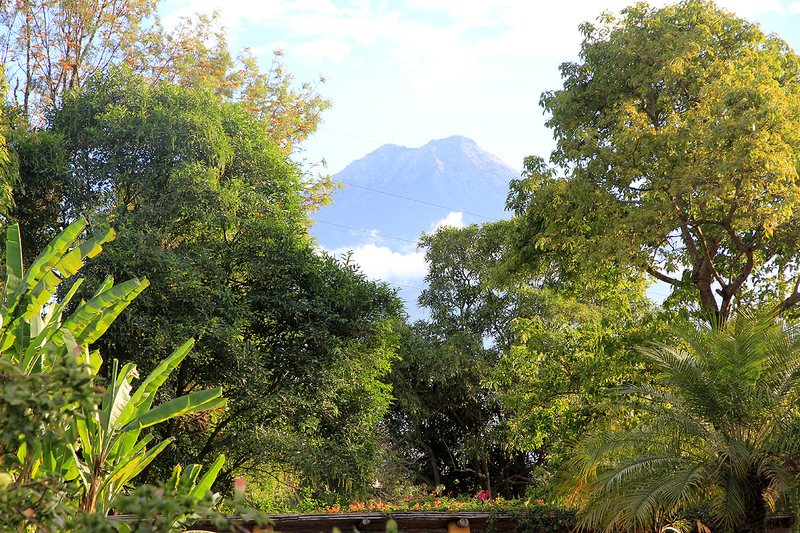 Volcan, seen from our hotel Quintas de Las Flores. 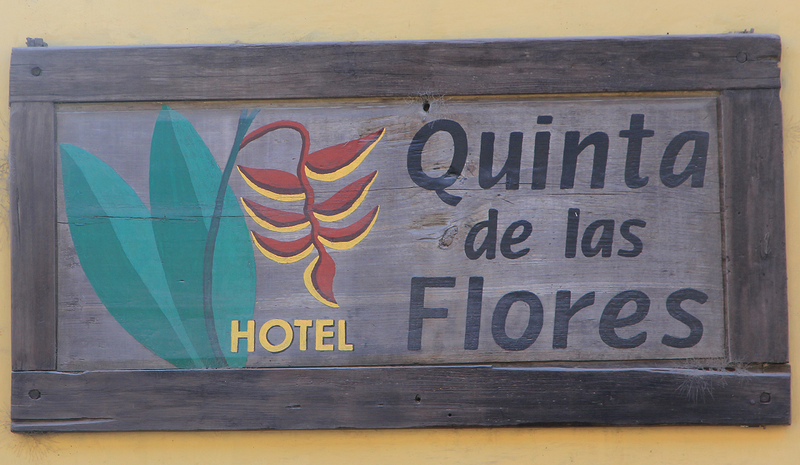 Hotel Quintas de Las Flores.